Gavin Orlowski of Grand Rapids, Michigan, was crossing a bridge with his mother, Erin Brown, when he heard her gasp in horror. Someone in a van ahead of them had just tossed a gray tiger cat out the window. Before they could identify the van, it took off and disappeared into traffic. 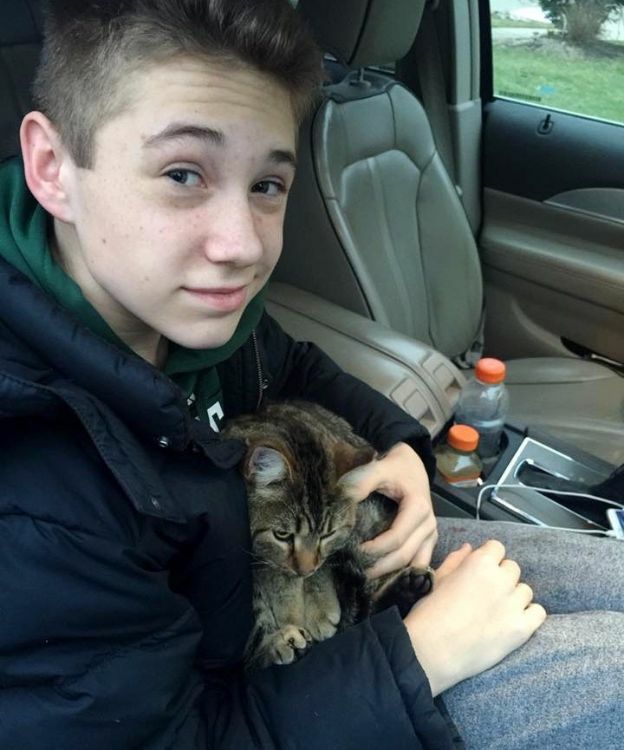 As Gavin jumped out of the car, the terrified cat began to scamper around between other cars. By the time Gavin managed to divert traffic, the cat was hanging off the overpass. He was able to grab him and get him back into the car before he was hit. The frightened cat was so traumatized that he huddled in Gavin's coat, refusing to leave his side. His claws had been torn off and he had hurt his back in the fall from the van. 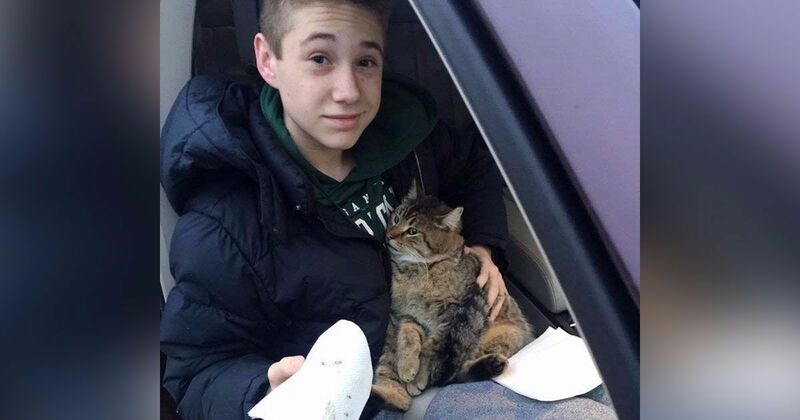 Gavin and his mother decided to take him to BluePearl Animal Hospital. A friend on Facebook offered to cover the vet bill. Fortunately, the cat was otherwise unhurt and in good health. He quickly recovered. 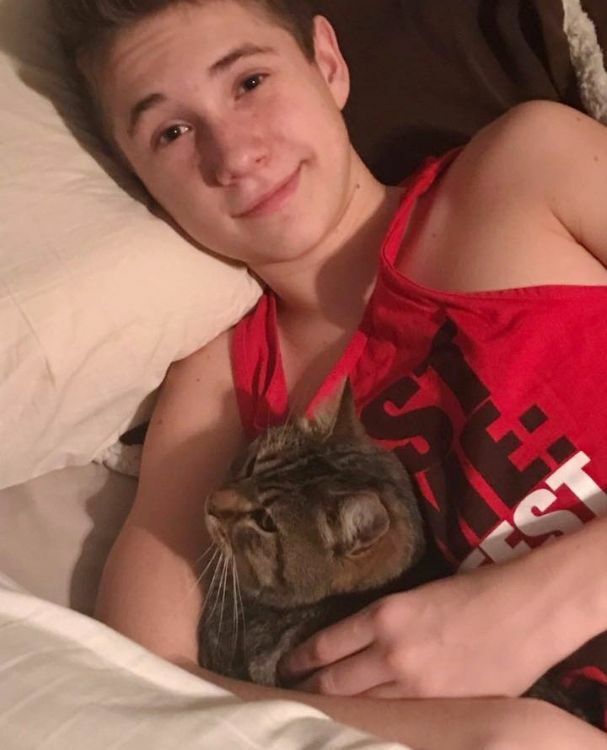 Gavin and his mother ended up adopting the cat, which joined them and their dog Rocko. Fittingly, they named him Lucky. They still shake their heads at the thoughtless van driver, who could have just given Lucky away or let him go instead of tossing him out to near-certain death on a busy bridge. 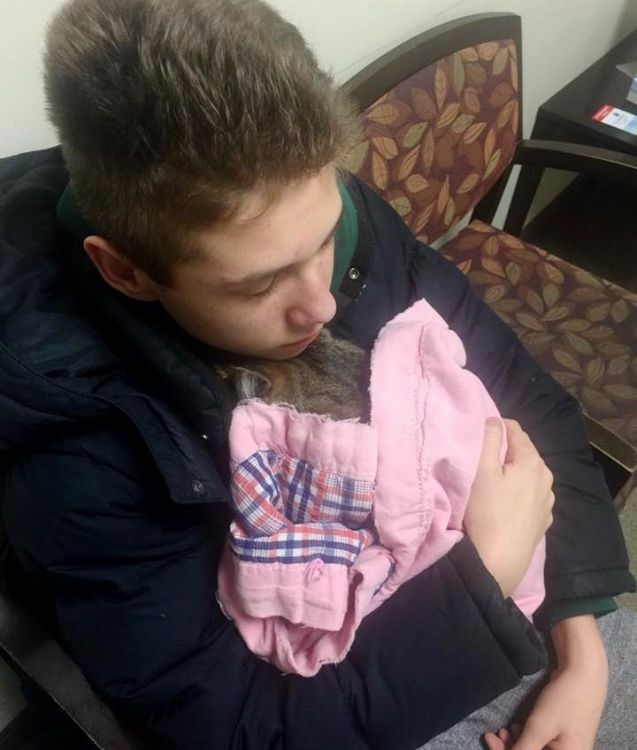 Sadly, according to local TV station WZZM, this is only one of an epidemic of animal abuse cases in the area, many of which go unreported. Lucky's story, at least, has a happy ending. 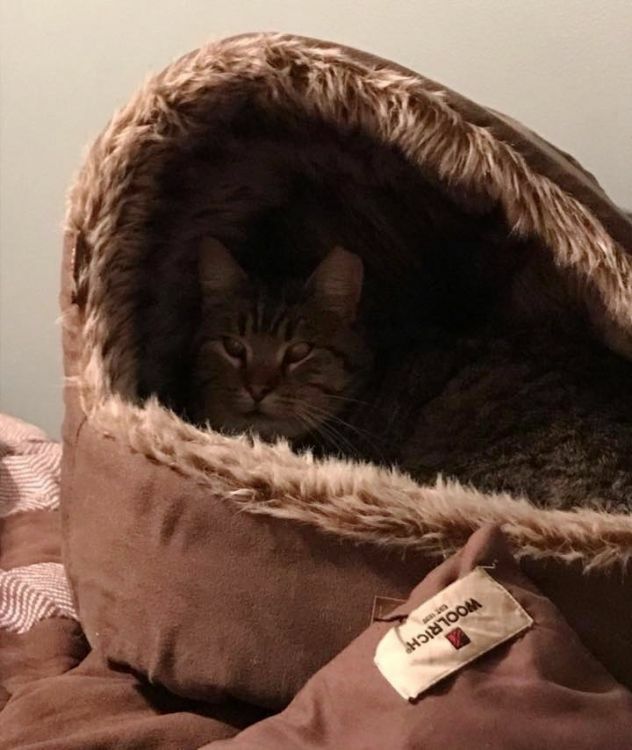 Share this story and help other cats like Lucky.